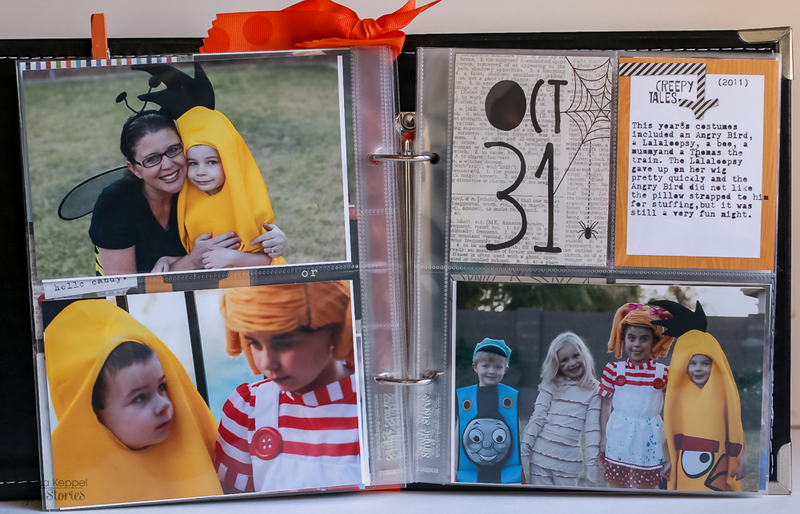 My Cluttered Corner: Simple Stories Frankie and Friends SN@P Album - Halloweens Past! 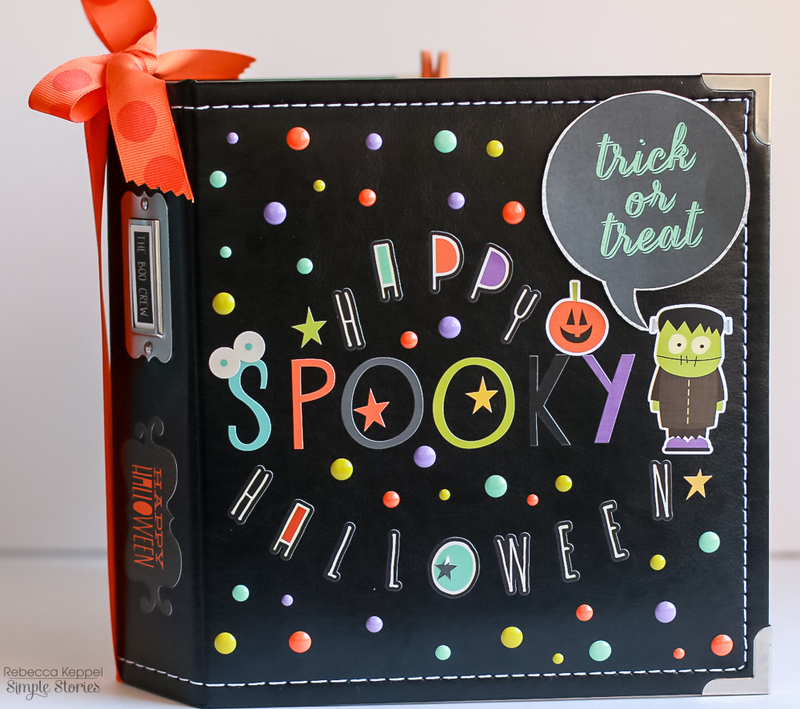 Simple Stories Frankie and Friends SN@P Album - Halloweens Past! Hi Simple Stories fans, Rebecca here! 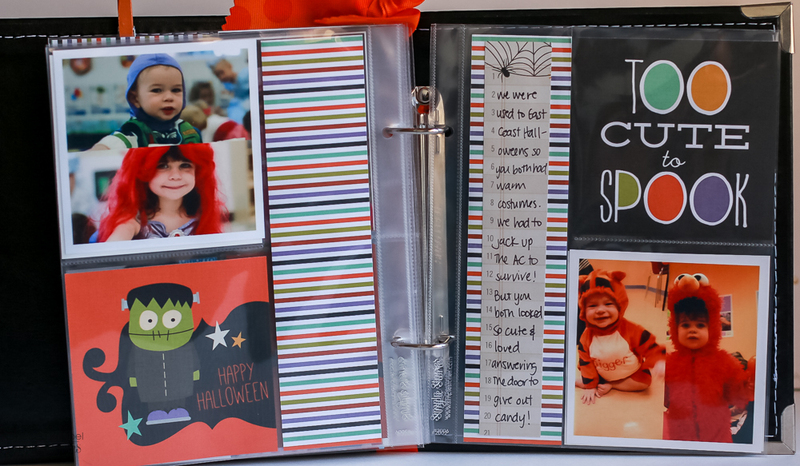 I've always liked Halloween, but once I had little kids who loved to dress up, I started to really enjoy it! A few years ago, the whole family started dressing up and that made it even more fun. 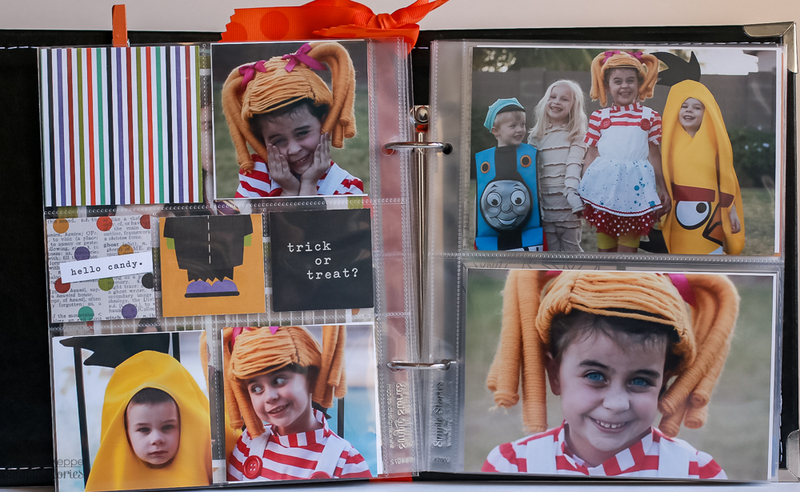 I thought it would be great to have a mini album and add our Halloween photos in each year. I think I've mentioned before that I am not much of a mini album master? And then Simple Stories SN@P entered my life and now I am a mini album fiend! 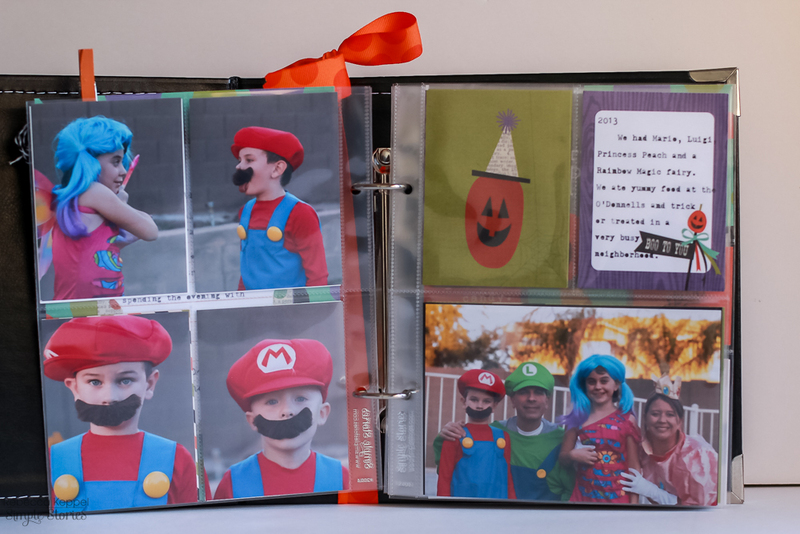 So of course I turned to a black faux-leather SN@P album and Simple Stories Frankie and Friends Collection to document our Halloweens past. 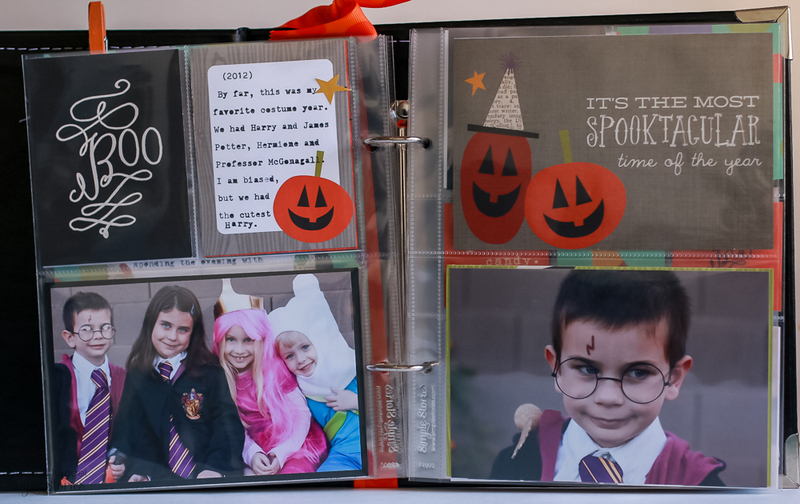 The album came with several different varieties of page protectors like this full 6x8 pocket that holds the title page. After the introduction on the left, I started with last year's photos. 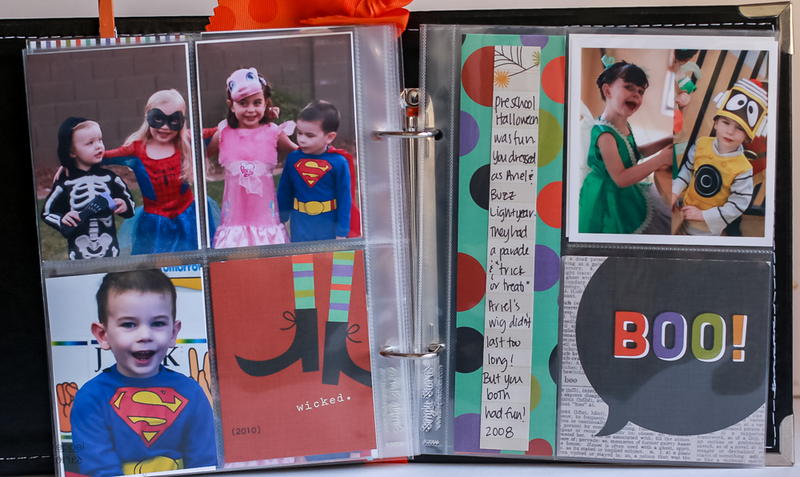 Since the album is a two-ring binder I can just open and add new pages here each year! 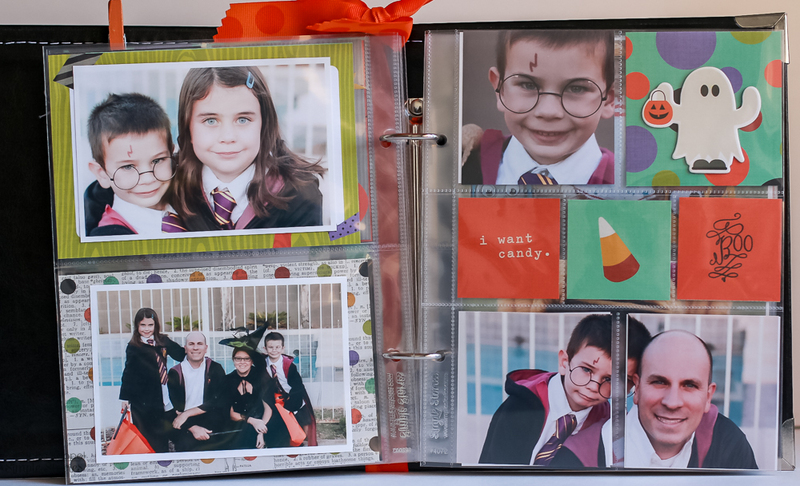 I love chopping a 4x6 photo in half to fill two side by side 3x4 pockets like I did on the bottom left. 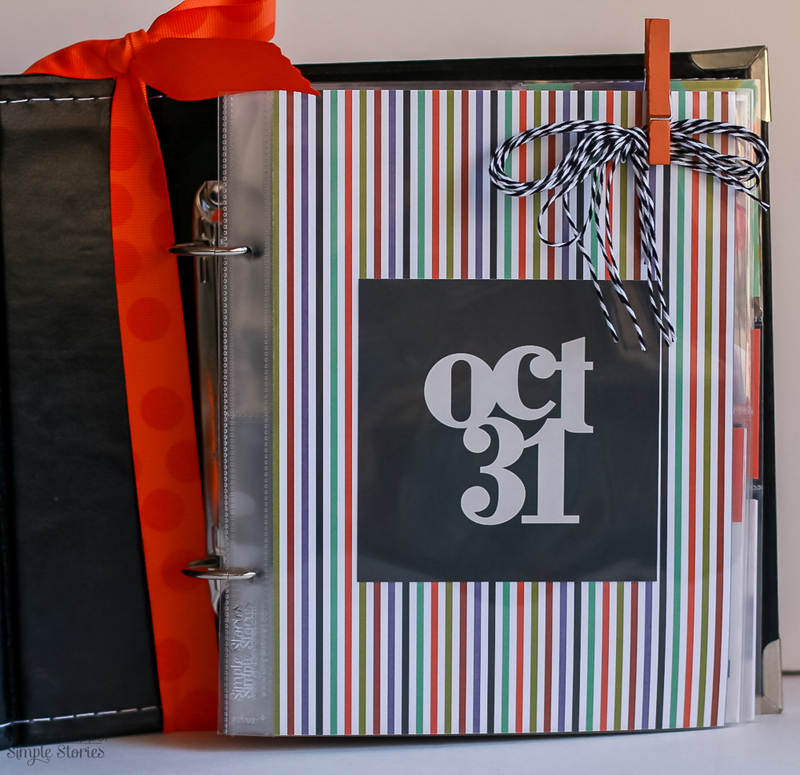 On the right, the 12x12 Collection kit includes a sheet of 3x4 journaling cards for telling each year's story. I was sure to date each journaling card so I could remember what year the following photos were from. 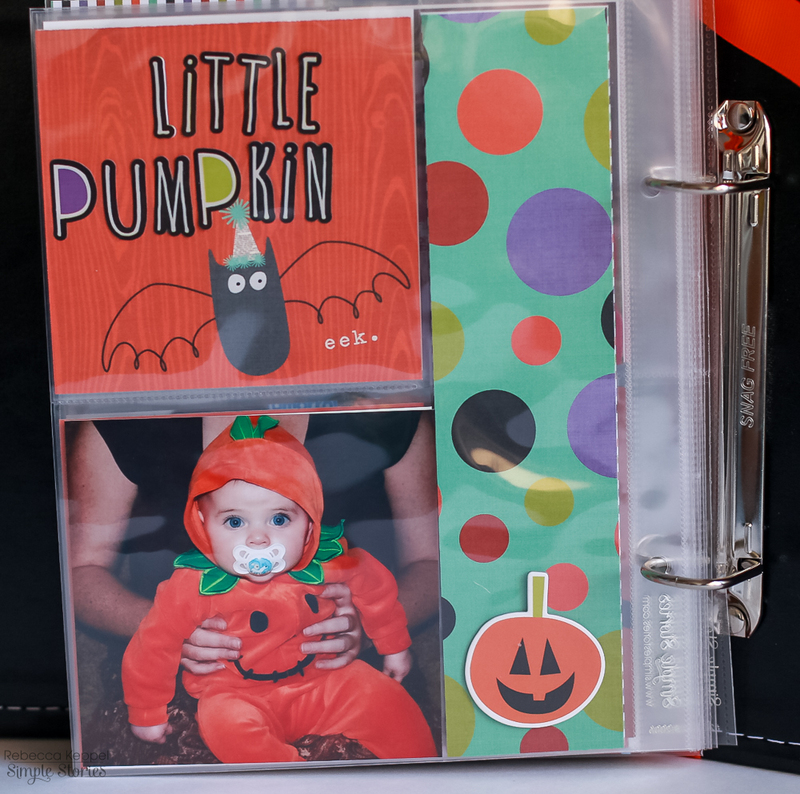 The Frankie and Friends collection also includes a sheet of paper with cards that cut down into the 2x2 square size. The nice thing about all the cards and papers is they are double sided so when the backs show they are equally as cute! 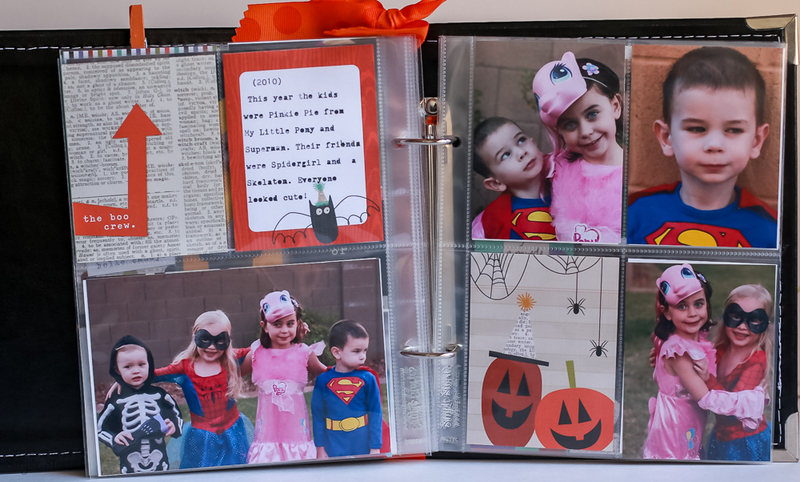 It is so fun to flip through the pages and watch as time reverses and the kids get smaller lol! For each year I included one open journaling card to jot down a few memories. I even printed some 4x4 photos for the right side here. I cut a long strip of lined paper to journal on and decided to mix my handwriting in here since typing one or two words on every line sounded too tedious! The Frankie and Friends collection kit also includes a sheet with 4x4 cards which I included here. And last but not least - my oldest's first Halloween. And all this was done in one weekend! 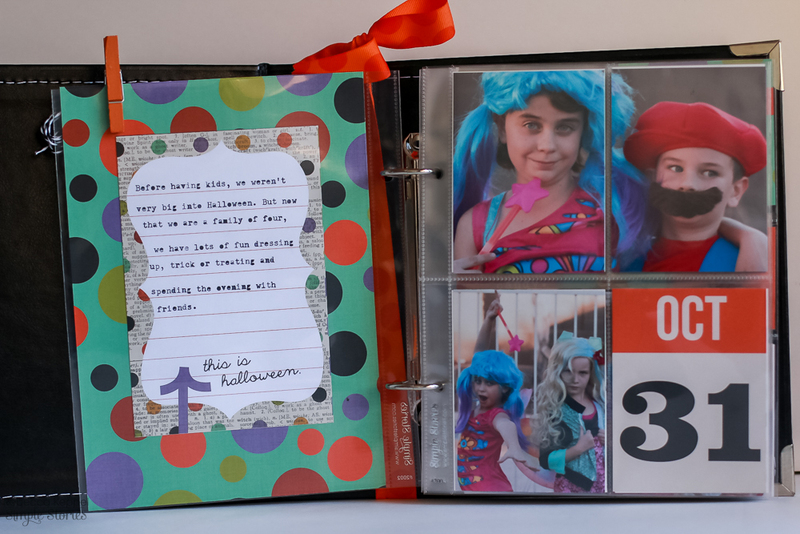 Eight years worth of Halloween all documented and plenty more room to add future Halloweens! This is so much fun Rebecca! what a fantastic collection of fun memories....and papers...and embellies! Adorable.